Deep Fried Cod is a very popular recipe. 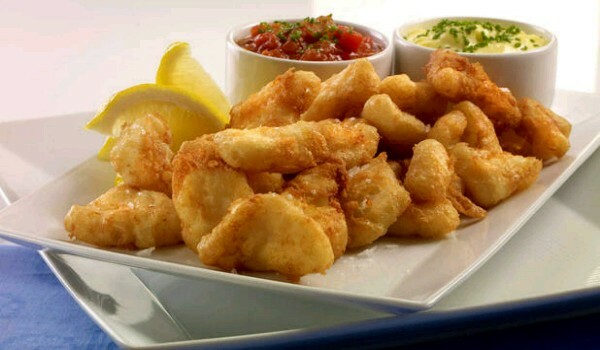 Learn how to make/prepare Deep Fried Cod by following this easy recipe. Mix all the ingredients, except oil, fillets and seasoned flour, to make a smooth dipping batter. Set aside for one hour. Dip the cod fillets in seasoned flour and then into the batter. Deep fry the fillets for around 5 minutes, or until fully cooked. Serve hot with lemon wedges and chips.